Tiki touring down the Waitaki to look at the Hydro Stations. Eight in total. 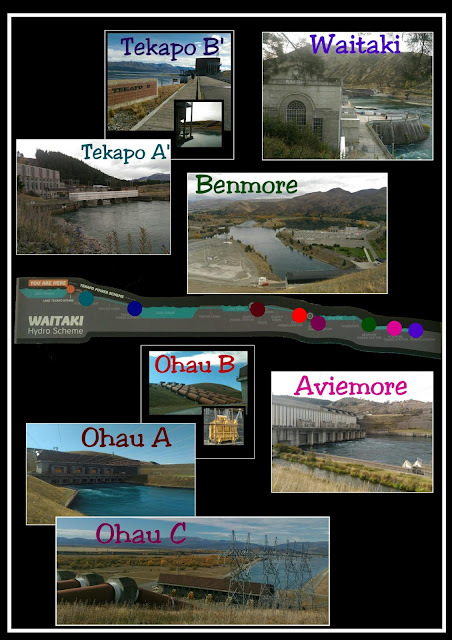 Starting from the inlet at Tekapo and finishing at Waitaki. If you look close enough you can see Mark at least once. Nice selection of power stations. My son is studying electrical engineering and has visited some of these power stations. Hope Lesely enjoyed the sights too!